Industria now has its name in bright lights at burgeoning Rolleston Square. 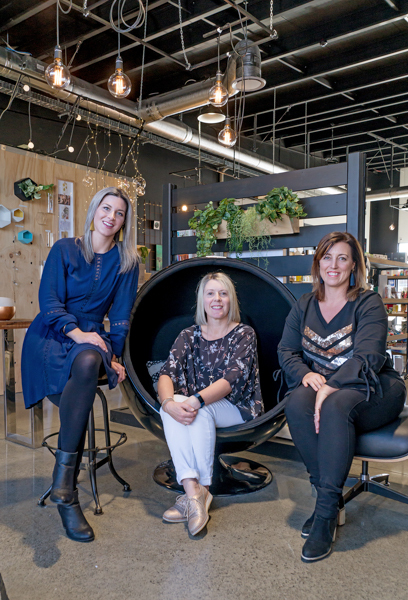 The design and gift store specialist with a spacious funky fitout opened a second location last month – the ultimate for practical, well-made and quirky designer items and furniture. Serving the Selwyn region, owner Janine Reese, along with Bronwyn and Mel, are proud Rolleston locals who know just what customers want. There’s stainless steel straws, Joco glass reusable cups and S’well bottles for hot or cold drinks on the go. Most items are New Zealand made or designed – from jewellery ranges such as JHD Designs to amazing artwork from New Zealand artists and affordable gifts. A click and collect option on www.industria.co.nz to pick up from Rolleston Square or The Colombo in Sydenham, makes life even easier.